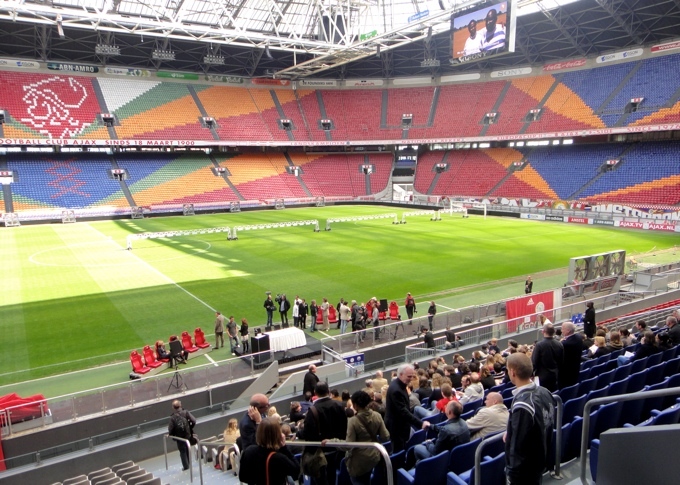 How exciting to launch a book of African journalism in the Amsterdam Arena. 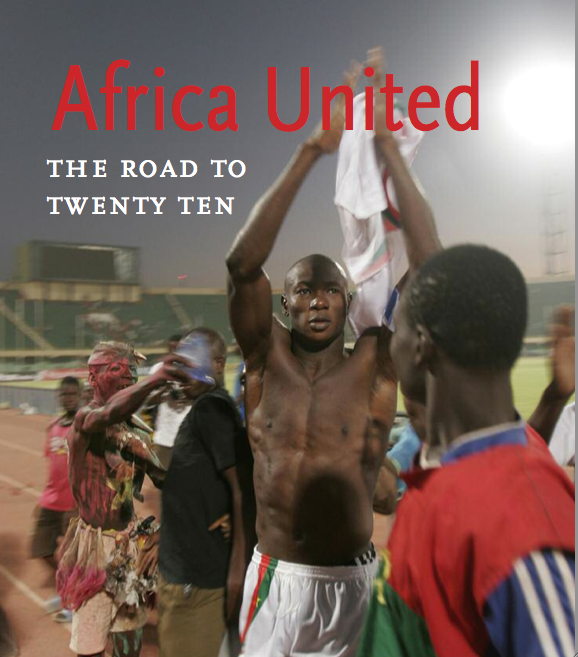 Africa United: The road to Twenty Ten showcases some of the best work that has come out of the Twenty Ten project so far, so it was certainly a milestone in the project for all of us. Edited by Stefan Verwer, Marc Broere and Chris de Bode and published by KIT Publishers, the book is an Everyman’s poignant guide to the role of football in Africa, as told by writers and photographers from across Africa. 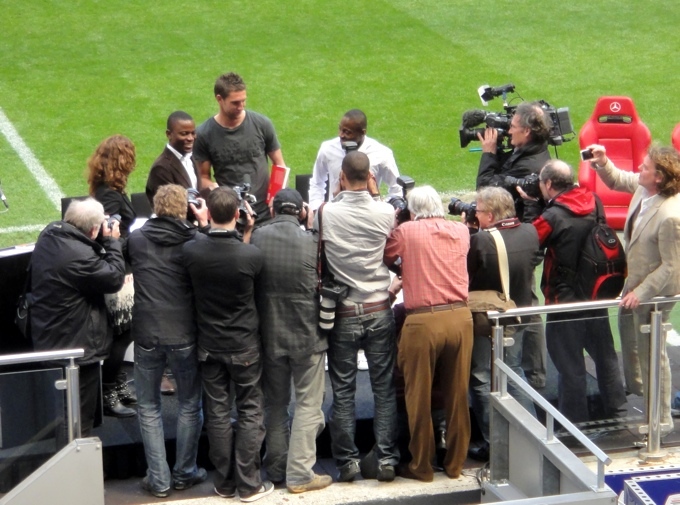 Andrew Esiebo, a Twenty Ten participant whose photographs appear in the book, presented the book to Ajax footballers Maarten Stekelenburg and Eyong Enoh. Africa United can be ordered through KIT Publishers.